Review: Danny Krivit is currently known as one of the music community's greatest purveyors of top quality disco & house as he continues to perform regularly before sold-out audiences around the world. With his unique ear for what works on the dancefloor he has also become known as "King of the Re-edit." Kerri Chandler "Rain" is well-established as one of the defining vocal house productions from Kerri Chandler. 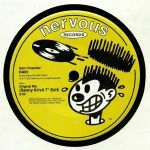 With Kerri's unique singing / scatting vocal performance "Rain" has continued to be a peak hour DJ favorite since its original 1998 release as the B side of his Mood EP on Nervous Records. Danny masterfully brings those elements that have always received the biggest dancefloor response. The B-side is Danny's edit of the 2013 remix by another equally well-respected leading talent in the worldwide house music community...namely AtJazz. 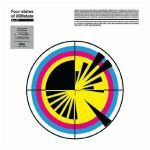 Space Age - "Sunday Rain"
Common Mode - "Beauty Queens"
Review: Finally Vol.6 is ready - this time the good people at Hands Off picked up tracks from Desos, Space Age and Common Mode - Deep all the way.